Repotting Houseplants to Hydroponics . 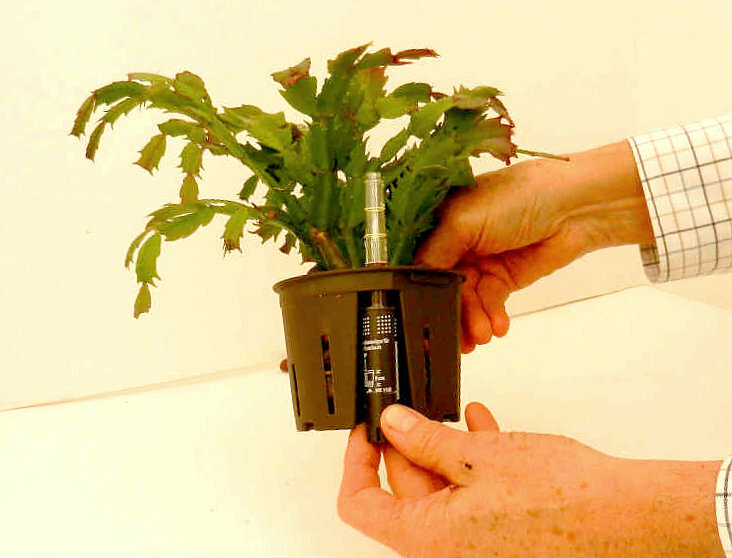 . .
Repotting Christmas Cactus into a hydroponic system is fun and easy. 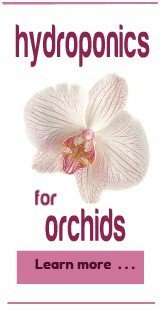 And your plants will love it! 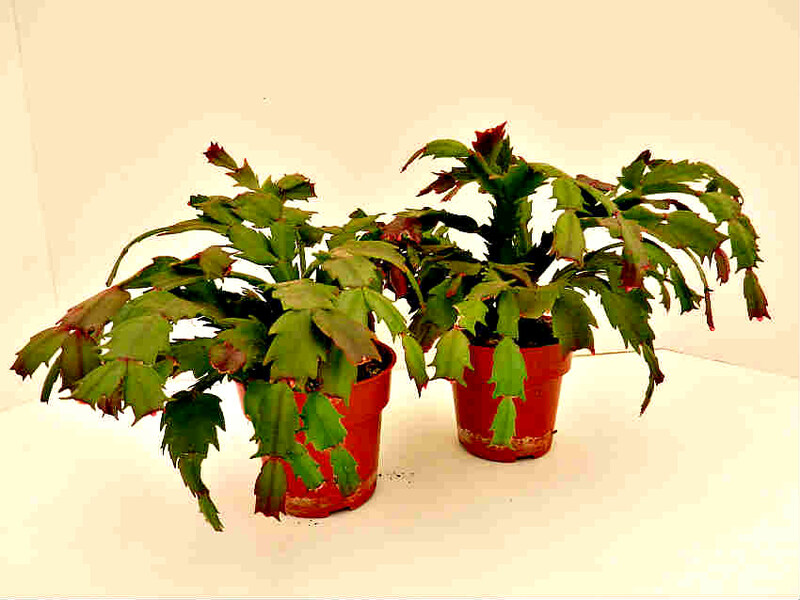 Technically speaking, Christmas Cactus are "tropical" cactus, which makes them different from typical "desert" cactus. 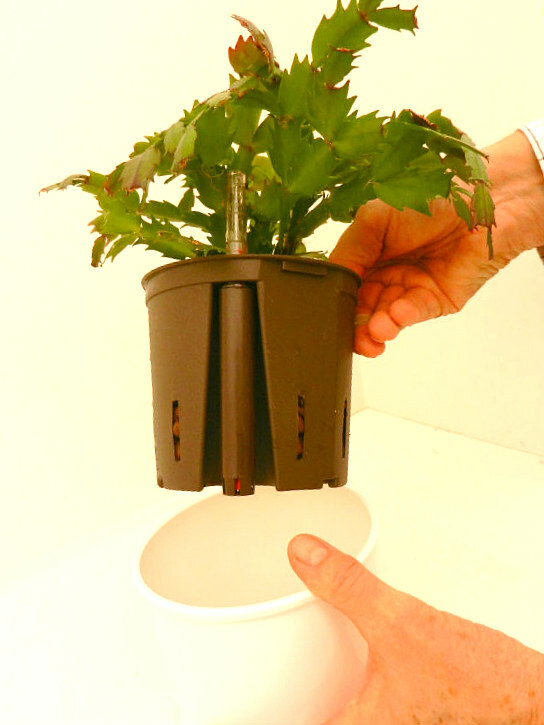 Our Hydroponic System is an excellent way to grow Christmas Cactus. 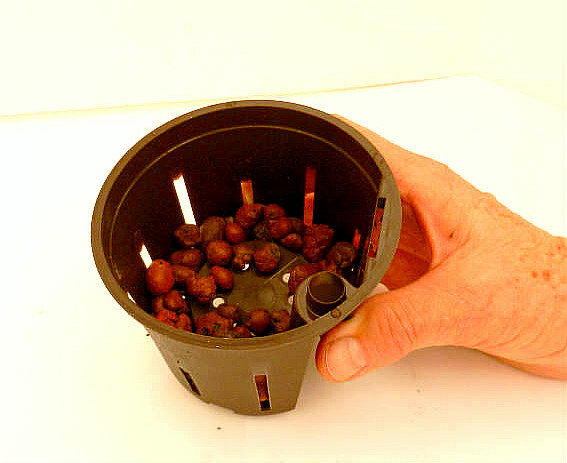 A water gauge tells you when and how much to water and the LECA pebbles promote excellent air flow through the plant's root system. 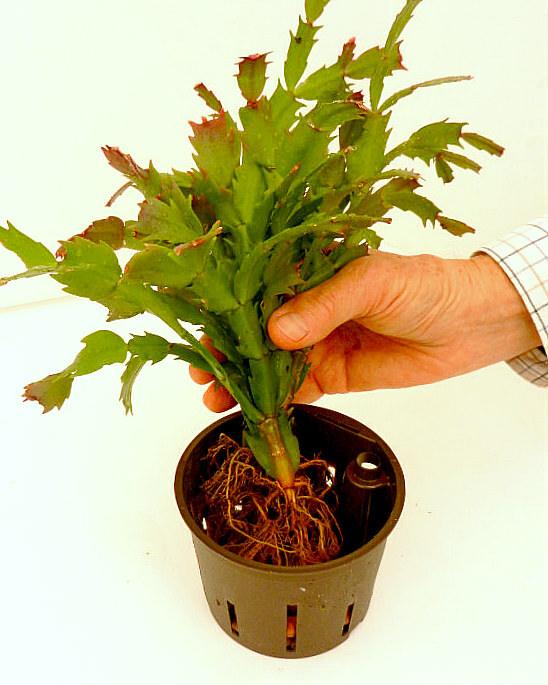 Grower Tip: Repotting Christmas Cactus from soil to hydroponics can be risky for large, mature plants (more than 16-18" across). 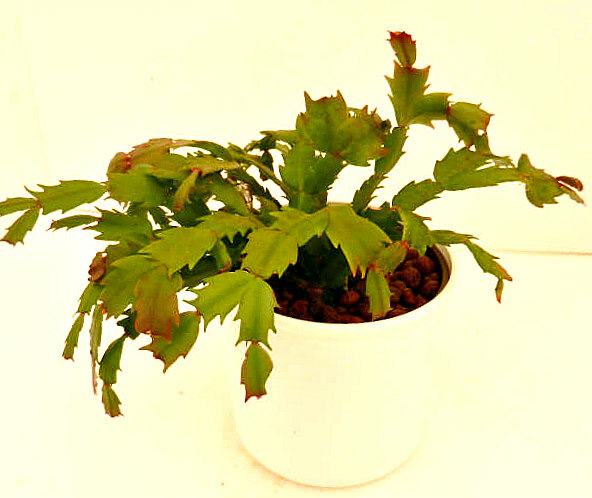 Christmas Cactus have delicate roots that get damaged when the soil is removed. 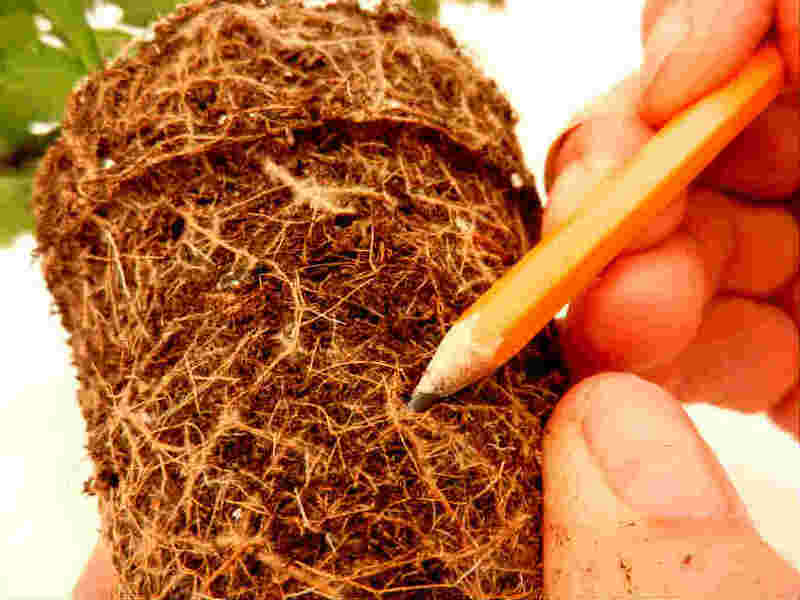 Damaged roots can't deliver the moisture large plants need and the plant becomes stressed. Some plants simply can't recover. 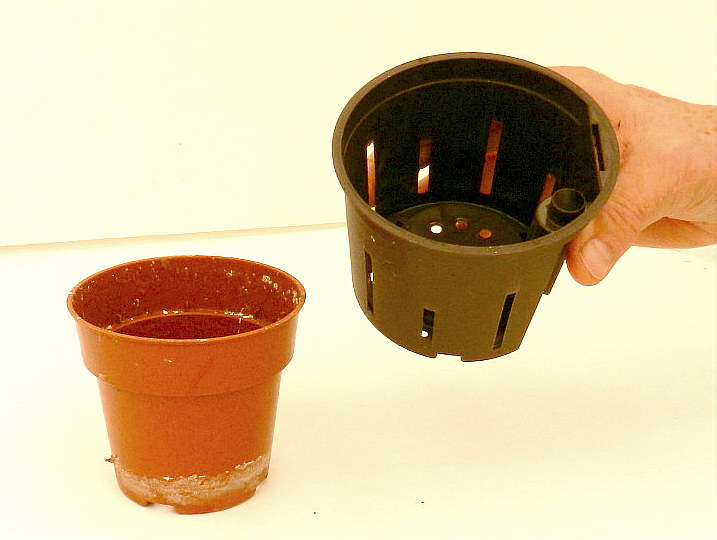 For these plants we recommend repotting into a terraponic system. 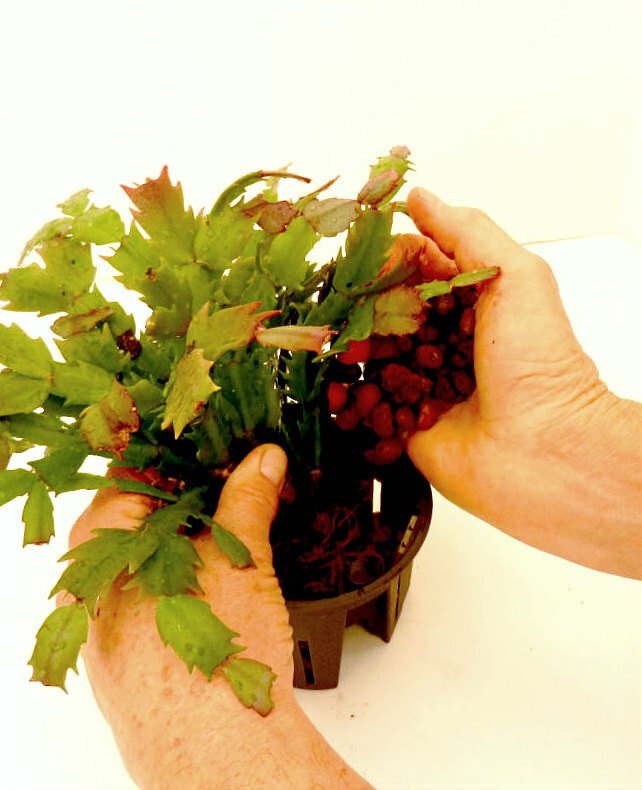 Best time for transferring Christmas Cactus is after blooming. 1. Always start with healthy plants. 2. 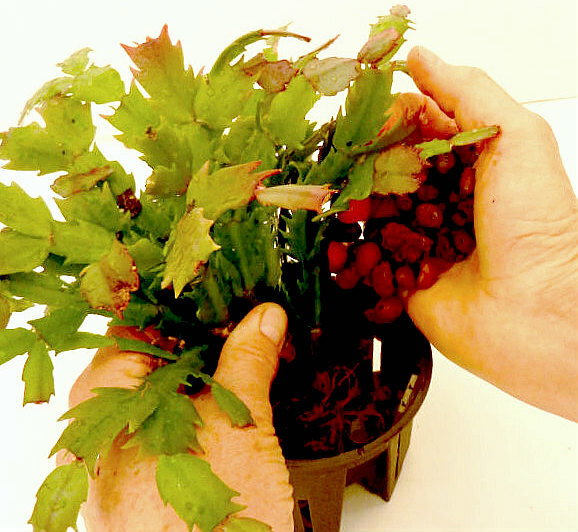 Carefully remove plant from its grow pot. 3. Notice delicate root structure for these plants. 4. 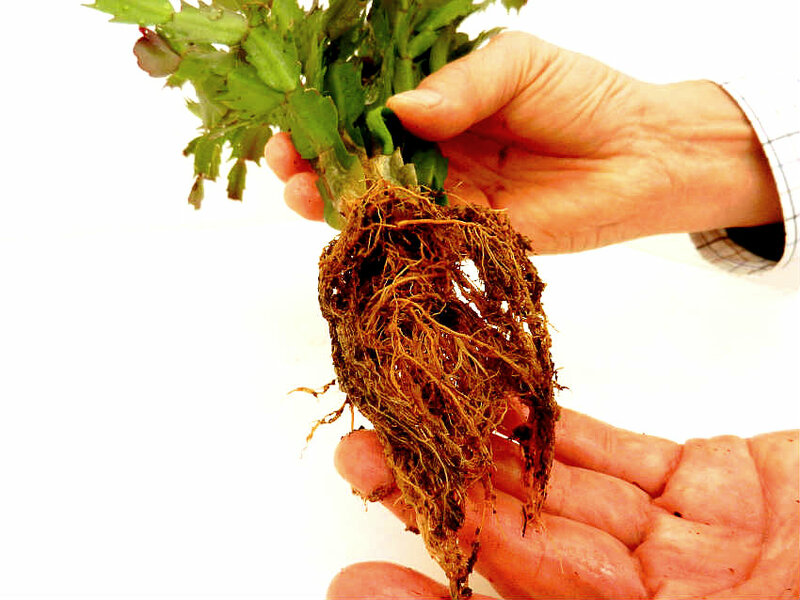 Soaking roots in water overnight helps loosen the soil and minimizes root damage. 5. 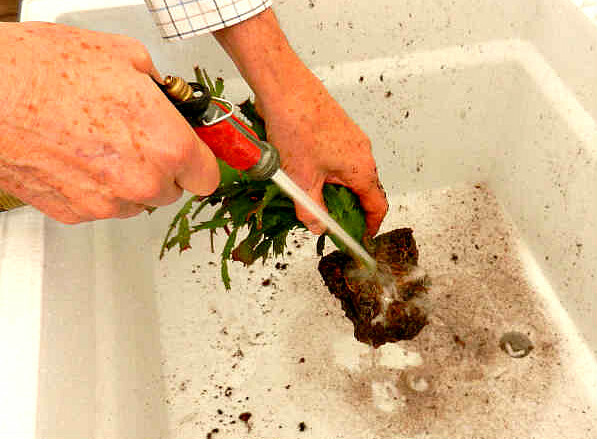 Take your plant to sink and remove all the soil from the roots. 6. 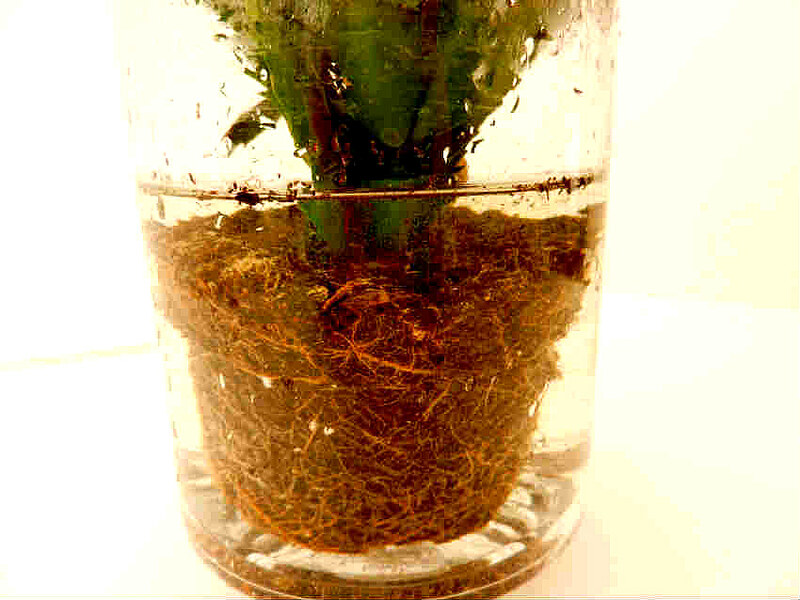 Root system with soil removed. 7. Choose a culture pot that's about the same size as existing pot. These plants grow best when root bound. 8. Fill botom of culture pot with LECA pebbles that have been soaking in water. 9. Position Christmas Cactus on top of pebbles. 10. Plant a little deeper than soil for stability. Hold plant in postion and gently push down. Then add pebbles around roots. 11. Pack down pebbles. Be aggressive - no air gaps allowed! 12. Insert water gauge into culture pot. 13. Put plant in outer pot. 13. Good job! 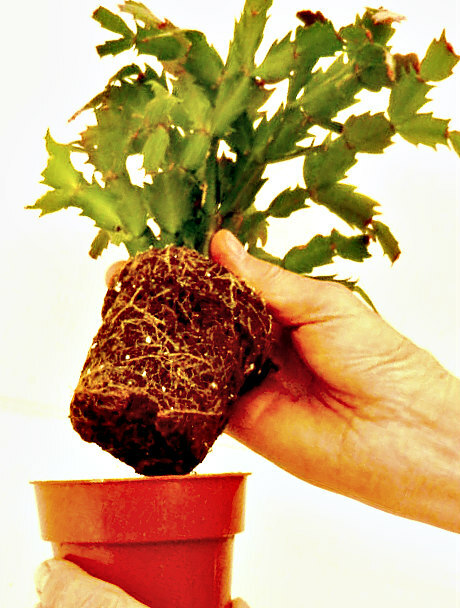 Your new Christmas Cactus will be happy in it's new home!